We are usually taught to focus on others needs before our own. There are articles about helping us build healthy relationships with our partners and loved ones, magazine covers telling us what we need to do to attract a man, and books on being a good mother, etc. I have no problem with any of this because I believe in creating happy and healthy relationships with others, but on the flip side I don’t hear nearly as much about the most important relationship in our lives: the one with ourselves. As women we are more likely to compromise in our relationships, especially romantic ones. I see how easy it is for us to have more of an external focus and lose our sense of self, and I’m not okay with that…anymore. I say anymore because I had this self-sacrificing thought process at one point. From personal experience I know how easy it is for us to get caught up in others and not realize that we are disconnected from ourselves. What happens when you don’t have a true connection to self? One of my past downfalls in relationships was not having a strong sense of self. I got lost in my past marriage and other roles I played. Because of that I didn’t make conscious choices based on who I was and what I wanted. Instead my choices were formed around what others wanted and needed. I used to go along with it and in the end that approach never served me. This can show up in any type of relationship that we deem important and for that reason I encourage you to always stay connected to who you are. 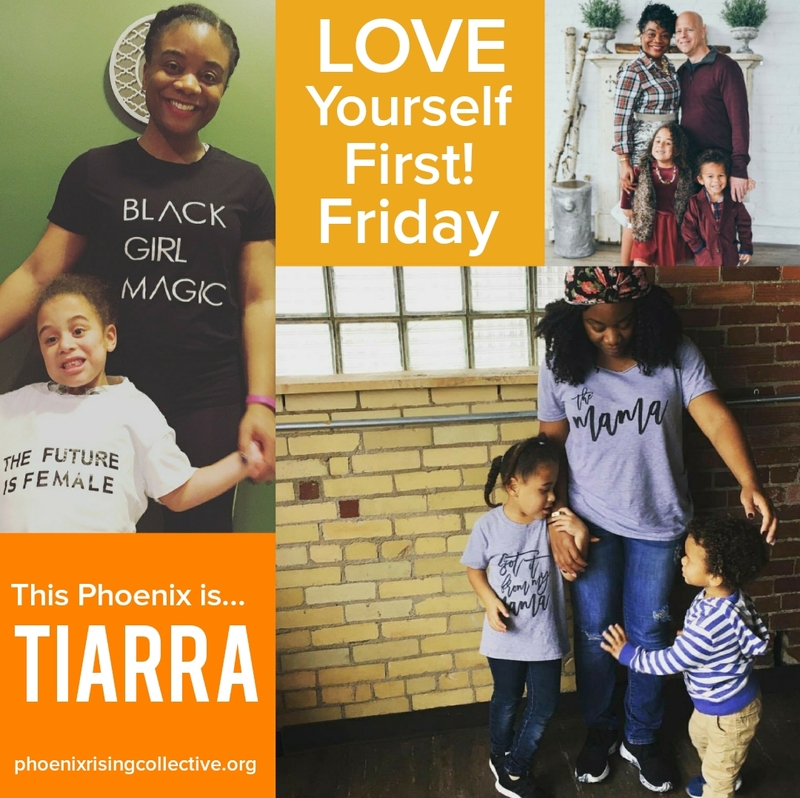 Also, as a mother with a child who has special health-care needs (due to chronic illnesses), I learned very fast how important it is to make sure I develop a healthy relationship with myself first and foremost. 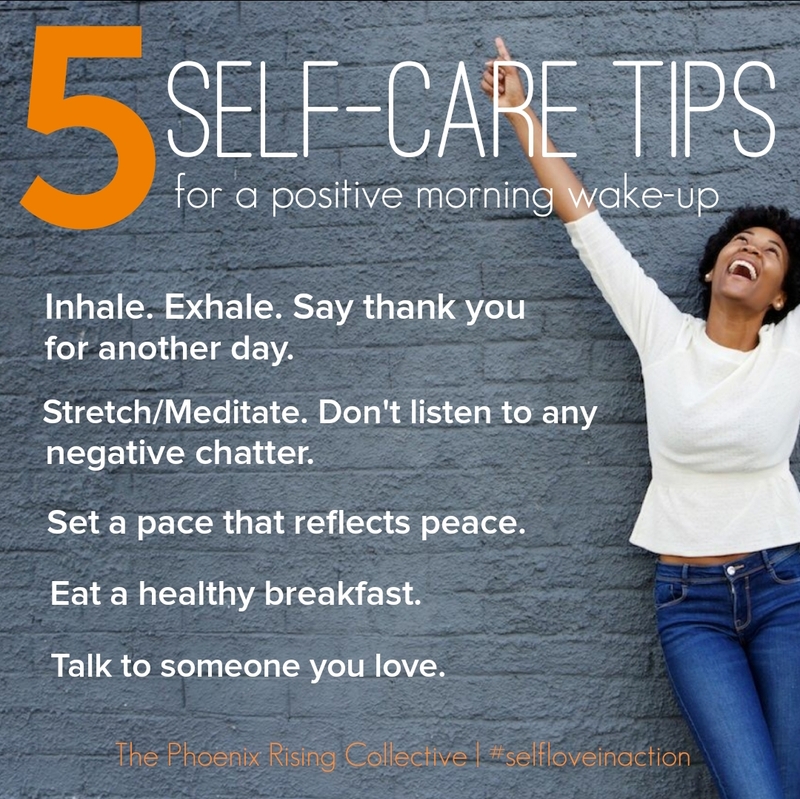 Being a caregiver is very overwhelming at times and I need to maintain my overall well-being in order to take on what comes my way and to also be my best self in the relationships I value. Have you been ignoring any signals that clearly show a disconnect with self? Outside of relationships we also get lost in life. With all the tasks, people, and activities competing for our attention every day, it’s so easy to get misplaced in the routine and lose touch with ourselves. In the end, your life is about your journey and it starts with rediscovering a relationship with YOU. How you are living should be aligned with how you see yourself authentically. Reconnecting to who you are and showing up as your true self will make you happier, reduce stress, and also make your relationship experiences more fulfilling. Life happens really fast and it’s up to you to slow things down. Therefore, the first thing you must do is take time for yourself. You just have to disconnect externally and go inward. Spending time alone with no social media or cell phone is a good place to start. Most of us are connected all the time making it very easy to get out of touch with how we feel. It’s so important to be alone every day for personal reflection and check-in. You can start off with just 15 to 30 minutes a day. If you stay committed to it you will start to crave that time. It’s inevitable that your mind will wonder about what else you can do during alone time besides just sitting with yourself, so take a journal with you to capture your thoughts. Writing is a great way to give what’s rolling around in your head some room to breathe. By putting your thoughts on paper you’ll begin to sift through mental clutter, process, and let go of stuff that needs to be discarded. Writing is a way of clarifying and releasing. It also reveals where you’re stuck. There are no rules. Just write! Are you really focused on what matters to you? Is your life in alignment with what you believe and what you feel is really worthwhile? Are you engaged in at least one thing that you love doing? How are you relating to yourself mentally, emotionally, spiritually, physically and financially? Are your needs being met in the most important areas of your life? Are you happy with self and your life? Answering these questions is just a start because this will trigger other questions for you. A heightened sense of awareness will develop and prompt you to re-examine your relationship with self much further. Whatever shows up for you while answering these questions, I want you to practice self-compassion. If a painful thought or feeling comes up be understanding. Ask yourself the following: How would I respond to someone I care about if they were having a difficult time with something? What comforting words would I say to them? Then say those same words to yourself. Self-exploration processes are beneficial to understanding who you are and how that transfers into making decisions in your relationships. When you have a sense of clarity you’re more likely to engage in relationships and experiences that enhance and improve the quality of your life, and I want that for you. Let’s start a dialogue around this topic, leave a comment and let me know what’s most challenging for you to stay connected to yourself. 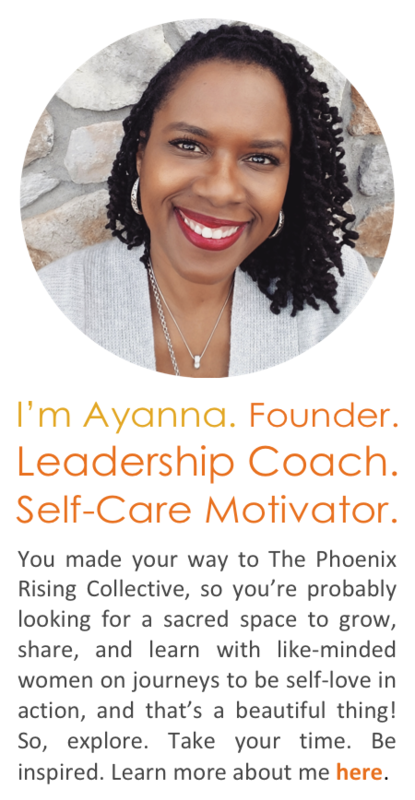 Categories: Self-Care + Personal Growth | Tags: authentic self, builing healthy relationships, personal growth, relationship clarity, relationships, self-care, self-esteem, self-exploration, self-love, the phoenix rising collective, whole living practices | Permalink. Great article! And I agree that this is definitely dialogue that needs to pop off in our sister circles. What’s most challenging for me in staying connected with self is making the time. When I don’t feel how I prefer to, I tend to get busy–cleaning, mommying, WordPressing (lol). So acknowledging versus ignoring or overriding my body signals is my key. Thank you! Thank you! I totally agree, I struggled with that too, but I’m much better at talking myself through those moments and telling myself that it’s okay to take that time for myself without guilt. I like what you said “So acknowledging versus ignoring or overriding my body signals is my key. ” that’s a great way to be more conscious and deliberate with connecting to self. Thanks for adding to the dialogue. This is very timely for me. I struggle with allowing myself to really open up and feel so I can engage with myself and do a true and accurate self inventory. Like my sister above, I also don’t make the time to have moments to myself. I think I have grown accustomed to being busy, especially since there is always something that can be done 🙂 I am in a place now where I am making a conscious effort to connect with my true being and start getting out of life what I need to thrive. Hey Danielle! I’m glad that this message resonated with you. I get the “you need to be busy” every minute of the day mindset. It’s so interesting to me as human “beings” we struggle to just be at times, instead we are human “doing” all the time. It’s really important to our overall well-being to step back and redefine how we want to experience life, outside of how society thinks we should or how we see other living their life. It took me a long time to make that adjustment but since I have, I’m very clear that I want to live a simply bliss life. It’s about finding that harmony with doing those things we know we need to do survive and thrive in life and also self-preserve.